This double grafted weeping cherry tree is a rare tree indeed. 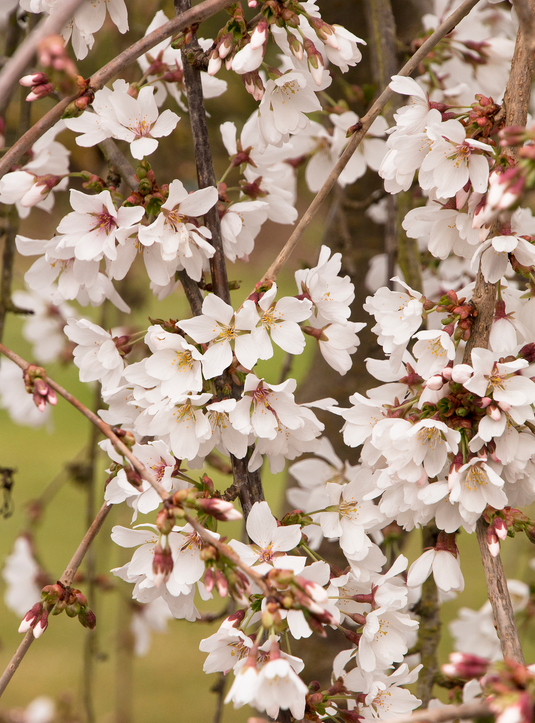 Weeping branches are covered with the showy, snow-white flowers of Snow Fountains and dramatically stand out against the distinctive paperbark cherry grafted trunk. 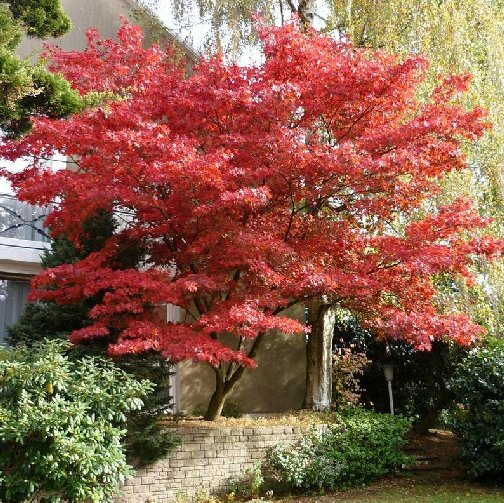 A beautiful small yard tree. Excellent in Japanese gardens. A hardy addition to the landscape. Deciduous. Plant in fun sun. Slow grower 12 to 15 ft. tall, 15 to 20 ft. wide. 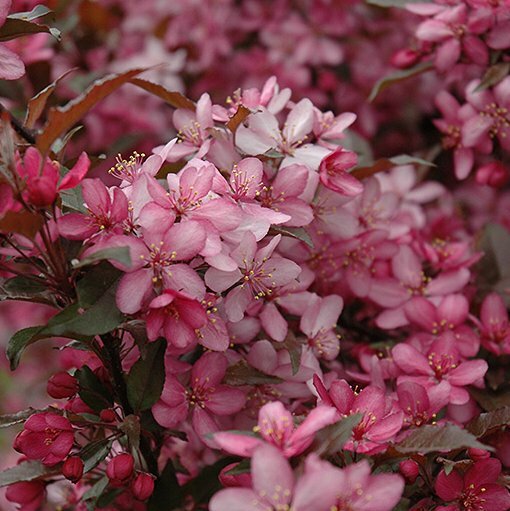 An upright, spreading variety with an abundance of magenta-pink flowers and reddish-purple, lobed foliage. Blooms in spring. Red fruit in the fall and winter. 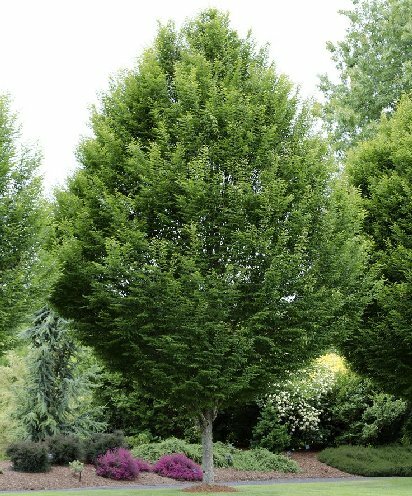 Great specimen tree for the landscape. Highly disease resistant. Plant in full to partial sun. Grows to 20’ high and 15’ wide. An attractive, densely branched, columnar tree when young, aging into a stately, broad cone shape with handsome, fluted, gray bark. Offers yellow, orange and scarlet fall color. Plant in full sun. Heat and drought resistant. Grows to 35’ high and 25’ wide. A dense evergreen Magnolia with dark green leaves with a rusty brown underneath. 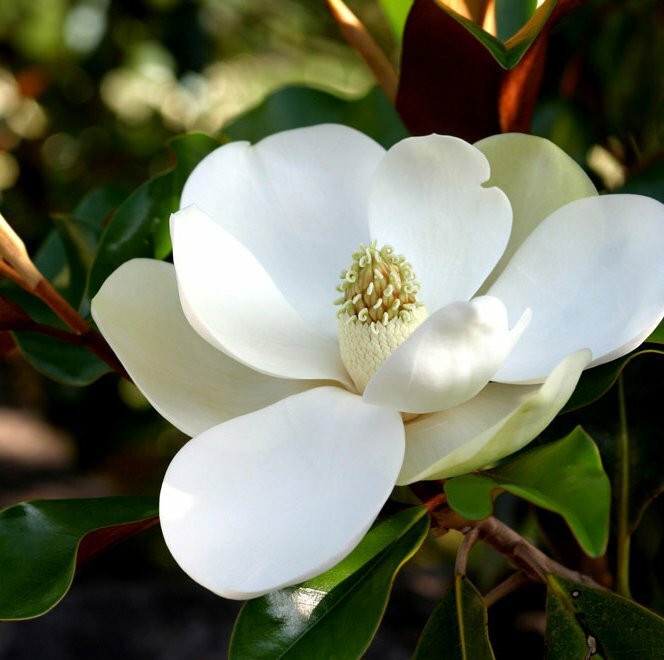 The fragrant 5 to 6-inch white flowers bloom in lat spring followed by 2 to 3-inch fruit. Grows 30 to 50 feet high and 15 to 30 feet wide. Plant in full sun. A handsome semi-evergreen tree with 2 to 3 in. creamy-white, lemon-scented flowers against a background of glossy green leaves. A lovely small patio, shade or specimen tree. Plant in partial sun. Moderate growing to 12 to 20 ft. tall and wide. 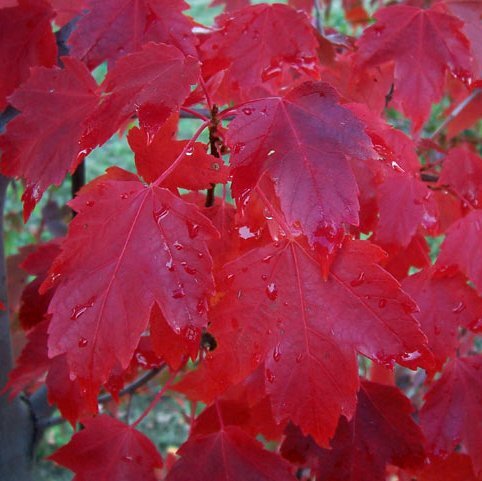 A strong-growing deciduous tree that is notable for brilliant, long-lasting scarlet fall foliage. A densely branched, seedless cultivar. Plant in full sun. Grows to 40’ high and 35’ wide. Abundant pea-like rosy-lavender flowers appear early spring before foliage. Heart-shaped deep apricot leaves appear and mature through shades of orange, gold and yellow with all colors present at once! Foliage turns a shade of lime green in the summer heat. Resists heat and burn. Ideal specimen or accent plant. Plant in full sun. Grows 8 to 12 ft. tall and 8 ft. wide.